Building speed and strength collectively as one solid unit. Equip your team with more athleticism so they can execute their sports skills with more speed, strength and explosive power. 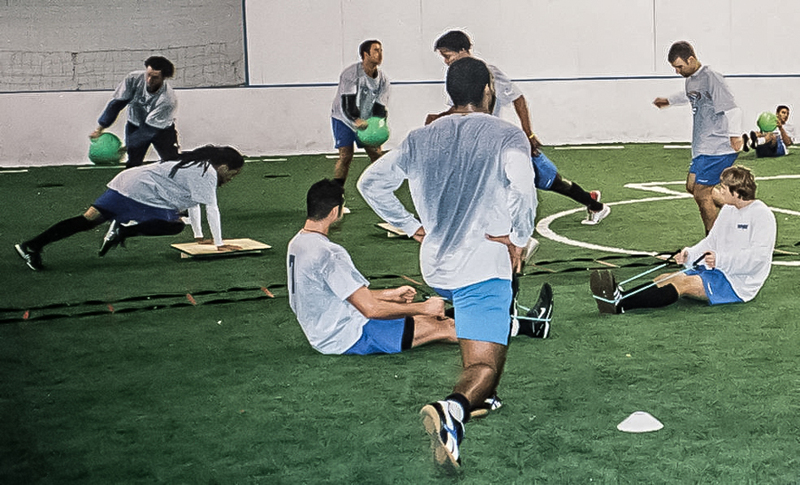 Let the professionals at Premier design and deliver a speed & agility program to boost your teams performance and reduce injury risks. Each 60 minute session can be implemented at your facility or ours using PFP’s proven methodology. Each sessions delivers a motivational, upbeat coaching style with attention to detail on correct intensity and form to maximize results. Your team will have a 60% reduced risk of injury so more players can contribute. Improved team confidence and team camaraderie. Enhanced speed, strength, agility and power which translates into better execution of sport skills. Reassurance knowing your athletes are being trained with professional guidance and instruction. Team goal setting prior to start of training to ensure every player on the team does their part.